Why is the Kickstand on the Right Side? Hey everyone! So we had a lot of people ask us why we have the kickstand on the left side. Story time! There is a high cost involved when designing a purpose built kickstand and we decided to use an existing kickstand to keep the cost of the URB-E as low as we can. When we set out to find a manufacturer to make a kickstand, we searched for the best kickstand at a local bike shop. We eventually found one that was well built and performed well. We set out to find the manufacturer of the kickstand, but we just couldn't find where this particular kickstand was made! So when we inspected the kickstand closely and found that it had an embossed Made in the USA logo. We knew we had to go with this company especially because they were made in the USA. After some thorough research we found that the company that made this particular kickstand was Greenfield Industries. They have been making kickstands for the last 80 years. 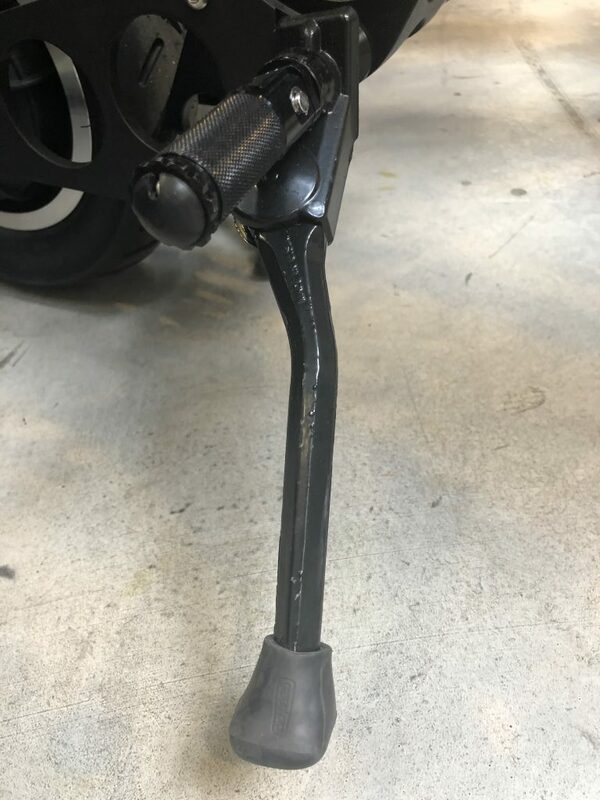 Unfortunately the kickstands were made for bicycles and kickstands are generally attached to the chain stay of the bicycle which allows the kickstand to be installed horizontally. Because URB-E doesn't have a piece like the chain stay on a bicycle, the kickstand had to be installed vertically and the only option was to install it on the right side. Having the kickstand on the right side of the URB-E also prevents riders from accidentally kicking the disc brake with their foot when putting the kickstand down. That's the story of why we have the URB-E kickstand on the right side! Yes it is a little unconventional considering most kickstands are on the left side of bicycles, but we hope this information provides you some insight on the thought process that goes into sourcing out parts for our URB-E!